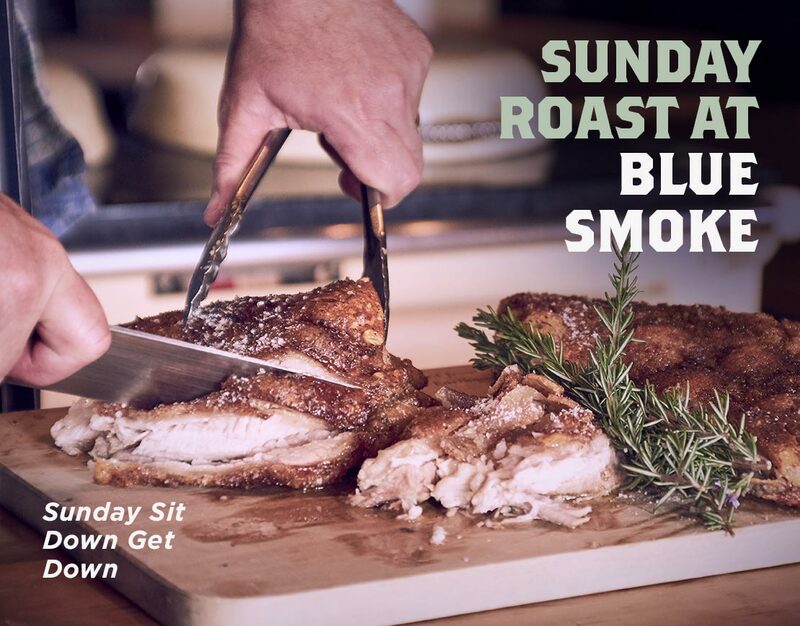 Blue Smoke at The Tannery welcomes you to ‘The Sunday Sit Down Get Down’, our much loved afternoon concert series. This is a great opportunity to catch a matinee show with family and friends and enjoy some fine gastro fare while you’re at it. 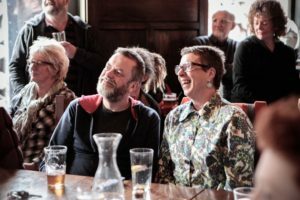 We believe great music should be paired with hearty soul food so in addition to our normal Blue Smoke concert menu we’ve decided to serve a seasonal roast menu from our beautiful AGA kitchen. You can view the menu on the Blue Smoke website to see what the chef is serving up. There are plenty of vegetarian and vegan options available. We open our doors at 3pm for a Sunday Sit Down so feel free to come early, find a good spot and enjoy the refreshing fare we have on offer before the show gets underway at 4pm. Our seasonal roast meal will be served every Sunday, come rain or shine, from 5pm. Meals cost $20 for adults, and $10 for children. There is also a suggested ‘Koha’ entry for this event, we encourage you to support the musicians and pay what you can afford. Some artists have chosen to offer a pre-sale ticket option as space may be limited at their concert. Please visit the Blue Smoke website for specific event details and what artists are playing. 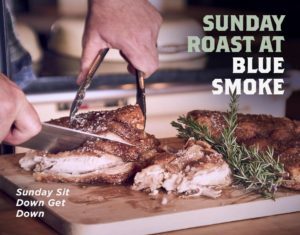 We will be doing the Sunday roast every Sunday in Blue Smoke and we’ll always have something interesting happening in Blue Smoke. Most of the time it will be a Sunday Sit Down show but sometimes there will be other events instead. For more information visit the Blue Smoke website. The following is what is happening this month. Sunday 6th May: This week we don’t have a Sunday Sit Down show, but we do have an early evening show. 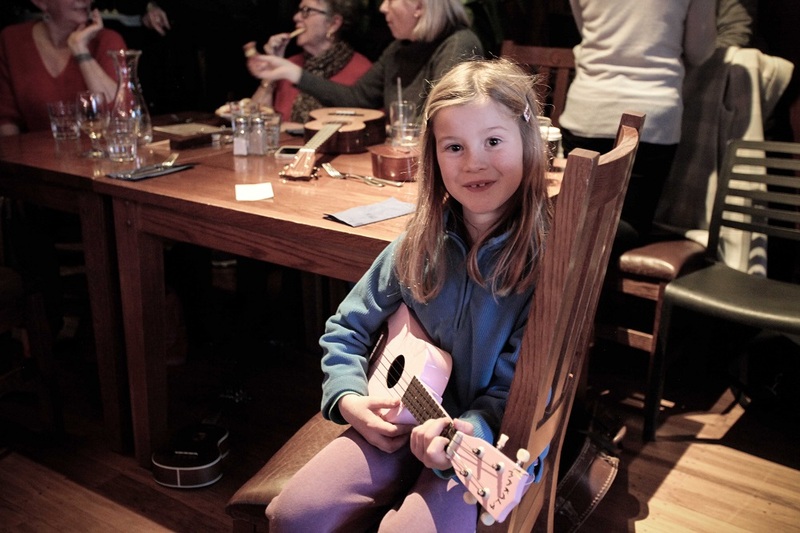 Blue Smoke opens at 3pm, with the Sunday Roast at 5pm, followed by Zulu Love (South Africa) starting at 7.30pm. Purchase tickets here. Sunday 13th May: Sunday roast at 5pm. Performance TBC. Sunday 20th May: American fingerstyle guitarist and entertainer Richard Gilewitz. Details and tickets here. Sunday 27th May: Sunday roast at 5pm. Performance TBC.